A berry that is grown on trees in tropical areas that is not actually a true peppercorn. 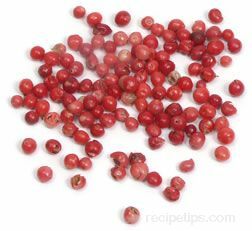 The pink peppercorn is a very small berry, similar in appearance to a peppercorn, that has a thin papery texture and a mildly sweet flavor. 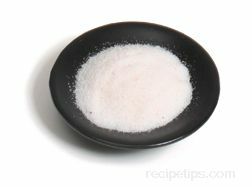 Grown in South American regions as well as France, Indonesia, Thailand, and the West Indies region, this berry is freeze-dried or brine cured to be used in salads or fish, poultry and vegetable dishes, providing a slight aroma, a pleasant color with a crunchy texture. 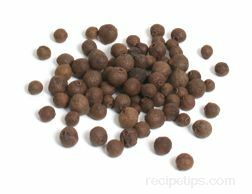 Often referred to as a "red" peppercorn, the pink peppercorn is available individually in containers holding the pinkish-red colored peppercorns or as a mixture of pinkish-red combined with other colors of peppercorns.